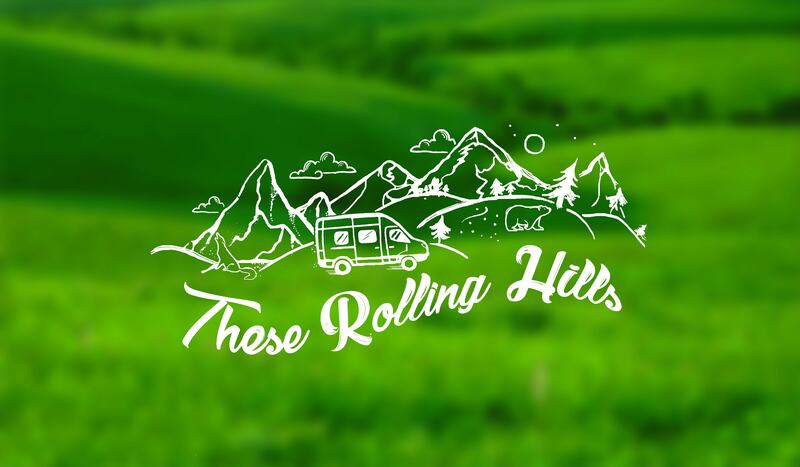 You’ll hear it said time and again that one of the best things about vanlife is the freedom. The ability to be able to visit far away places and wake up to stunning views. In order to have this you simply have to drive there, sometimes exceedingly long distances or for days on end. 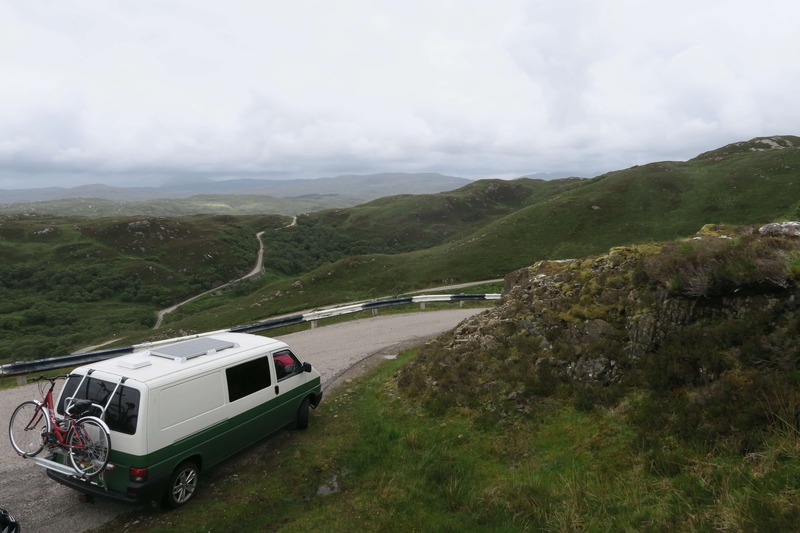 One of the key skills you’re going to need to learn for you van life is how to survive long drives! Here are our methods for staying sane for hours on end, driving from camp spot to camp spot. We all remember growing up as children and being subjected to games of I-Spy on family road trips, endlessly suggesting S for Sky or R for Road. Well imagine these same games with added vocabulary and grown up competitiveness, C for Cumulonimbus or H for Hubcap. Sure, it’s still only I-Spy but there are a tonne of other games to flex your competitive muscles and they can easily kill an hour here or there. 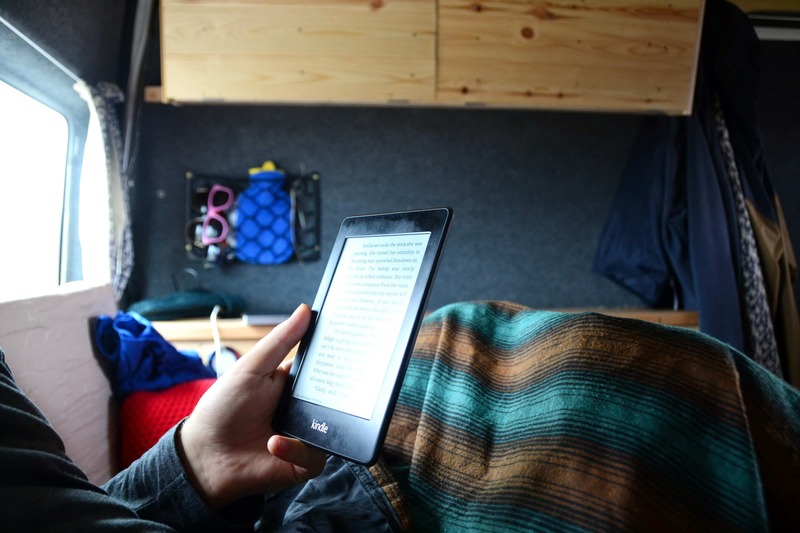 We love to read as we have mentioned many times before, in fact our Kindles appear on both of our Top 5 favourite van items (spoiler alert for Olivia’s list). However we can’t always find the time to read as much as we’d like because we’re always trying to get out and explore and hike, that is where audiobooks come in. You can get through your list of books while you drive and really feel like you’re utilising the driving time well. We us Audible for our audiobooks as they have a subscription service and seen as we get through so many books it really is worth it for us to get the one free book a month. You can try the Audible Free Trial here and get one free book of your choice and if you don’t want any more than that one book you can cancel at any time inside 30 days and not have to pay anything plus get to keep the audio book. We did this a couple of times with both my account and Olivia’s account so got a couple of books free right off the bat! Who doesn’t like rolling down the windows and cruising along mountain roads listening to Stevie Wonder or De La Soul? We know that we do! We spend ours singing along (and yes terribly rapping along) with our favourite artists, its a great way to survive long drives. Before we left we ripped all of our music and transferred it to a bunch of cheap MP3 players. We bought a couple of these cheap ones because we knew that we’d end up losing them or batteries running out and just didn’t want to be left without music waiting for one player to recharge or having to turn the van upside down trying to find it after it slipped down the side of the chair. 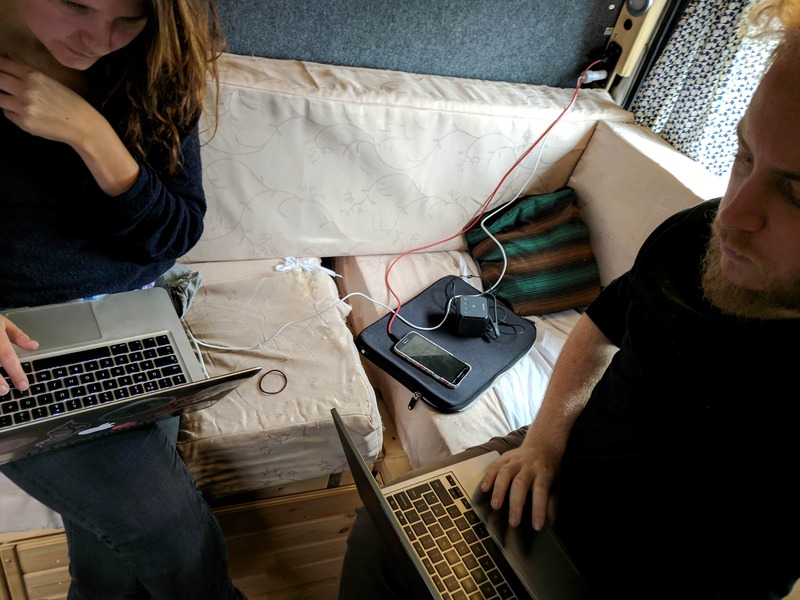 Plus we try to avoid having too many expensive things lying around the van, we just feel safer knowing that we won’t be losing £100 worth of iPod and simply £18 worth! On top of the music we have downloaded on our MP3 Player we also use some subscription services. It’s pretty easy to get free trials of all of the music services and because there are 2 of us we have been simply rotating through the trials and enjoying unlimited music for free. We started with the free trial of Amazon Music before moving on to Spotify, Google Music etc and just making sure we cancelled them before the trial period ended. We’ve touched on podcasts before in our article Best Podcasts for Long Drives which is where you’ll find our recommendations of what to listen to, however they make an excellent time filler when you don’t want to talk to each other yet still want to have a laugh listening to other people talking. This might seem like an obvious one but I thought I should mention it in case you read this thinking we don’t talk! Olivia is actually a pretty interesting person and despite what I might tell her I actually find her funny so a long drive feels a lot less long when shes telling me interesting things about the area or regaling me with a story of her adventures.